When I was pregnant with my sons, I paid close attention to my diet. I cut out caffeine and the occasional alcoholic drink. I ate more spinach when my body needed more iron. I continued to make adjustments to my diet when I breastfed my boys for the first several months of their lives. I thought about the food I put in my body for the health of my babies and for me. I knew the importance of nutrition in those early stages of childhood, even before my kids were born. What I didn’t realize is that if a child isn’t given the proper nutrition in the first 1,000 days of life, from pregnancy to age 2, his growth could be stunted and his performance in school could be affected. To think that pregnant women and children are lucky to even have a daily meal, let alone a nutritious one, never even crossed my mind when I was pregnant. I was lucky to have the means to eat a healthy diet and access to the food my body needed. I’m much more aware of what it means to be food insecure these days. My nonprofit work in Maine has opened my eyes to child poverty that I didn’t know existed in my own back yard. Nearly 1 in 4 children in Maine are food insecure. I’ve written blog posts on food insecurity, hunger and global nutrition. Honestly, I wasn’t sure how my audience would react to such subjects. Hearing about 165 million malnourished children in the world isn’t exactly uplifting. But I always try to show the good that can come out of such knowledge, whether it’s a local restaurant giving a meal to needy families for every meal sold or employees tending a garden to stock a food pantry. Telling the stories of those who are helping to solve these problems inspires action in others. On a global level, there is much to be done. An initiative like the U.S. Government’s Feed the Future, led by USAID, is leading the way by showing how nutrition, poverty and food insecurity are all related. Rather than taking a one-size-fits-all approach, Feed the Future is addressing undernutrition through country-owned programs. They are looking at agricultural development and addressing the most at-risk population, women and children. The investment in food security is seen as an investment in our own economy. I am elated to see that almost 12 million children under 5 have been reached by Feed the Future nutrition programs. It’s encouraging to see our world leaders take on global malnutrition. Together, we can keep them accountable. 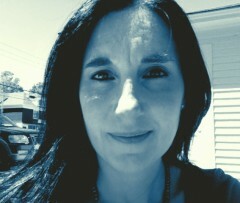 About the author: Jennifer Barbour is a copywriter, blogger, aspiring author and new media consultant. She aims to inspire, to entertain and to make you think. Her passions are writing, philanthropy, her awesome family and bacon, though not necessarily in that order. You can find out more at anotherjennifer.com. Follow @USAID, @USAIDGH and @FeedtheFuture on Twitter and use #GHMatters to join in the conversation about global health issues including #nutrition.